There is something powerful and magic about uniting in motherhood, and that's just what this photo shoot was about. I recently put out a model call for a pregnant mumma to do a special photo shoot. I had such an overwhelming response, I got excited and realised I could actually get all these women together and create some magic. Bringing them together to socialise, connect, discuss birth and motherhood, as well as capture them is their beauty, was pretty special and it's something I'd like to do regularly. 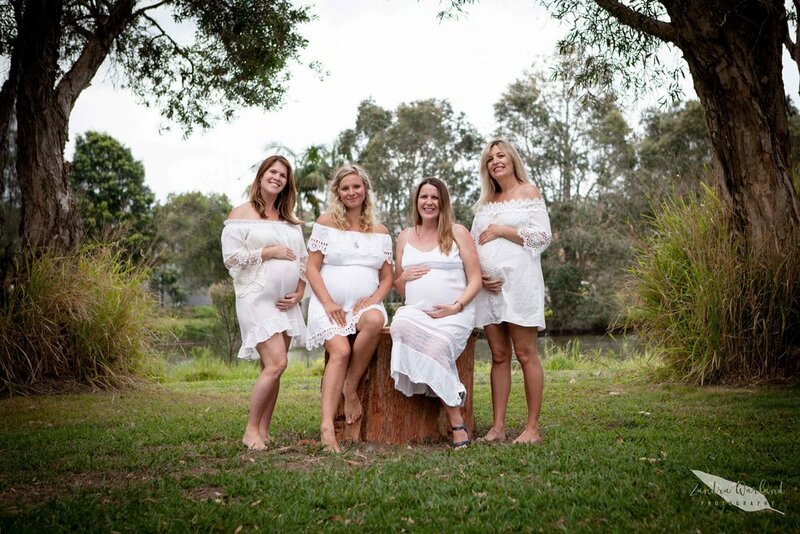 So the next gathering of beautiful pregnant mummas will be on Sunday, November 19th. This is a FREE event and you will recieve a copy of the images to keep for yourself. If you know anyone who is pregnant, will be over 26 weeks on this date and doesn't mind having photos of themselves shared for promotional purposes, please forward this information onto them and fill out this registration form. **Get $500 off BIRTH PHOTOGRAPHY** PLUS I'm adding video to all packages for FREE when you book before the end of September. Birth photography is powerful, emotive, healing and tells your babies unique story of coming into this world. With a deep desire and passion for capturing those fleeting first moments with emotive imagery, I have come to learn the specialised craft of Birth Photography & videography. I pride myself on being a calm, unobtrusive documenter during your sacred time of birth. Recently featured in Natural Parent Magazine and Essence magazine. Send me a message & find out more here. Please share with friends who might be interested. “I feel empowered looking back at my birthing pictures. They remind me of the beautiful bond I share with my husband, the beauty, strength and surrender to childbirth and that light at the end... holding our baby in our arms…. " - Luna Woolcott.